You know I love my handbags right? Well I can't wait to go to this amazing event next week, courtesy of the Handbag Clinic and Gogglebox's Scarlett Moffatt! I love The Handbag Clinic, who took very good care of my Louis Vuitton for me when it was booked in for a leather protection treatment. I can't wait to see the fashion show and to see the lucky winner walk away with such an amazing prize. Find out more about the event from the latest official press release below and make sure you enter for the chance to win the amazing Mulberry handbag! 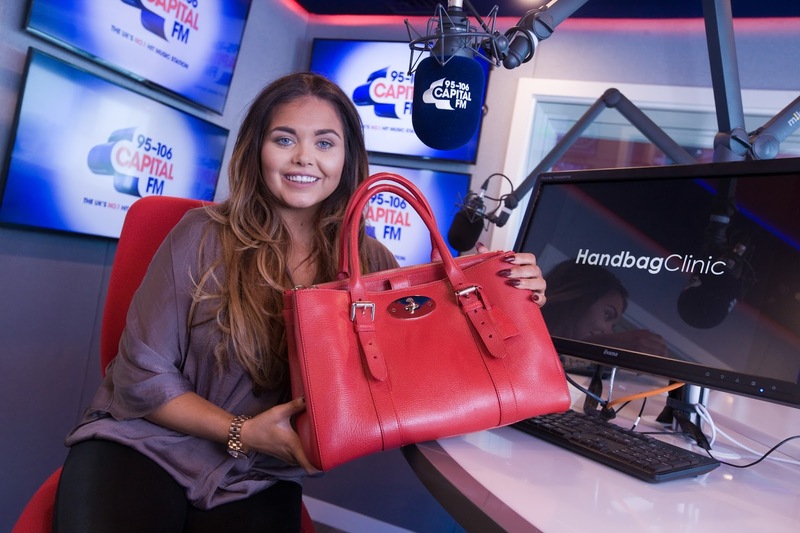 Handbag Clinic has partnered with Gogglebox star and Capital Radio presenter Scarlett Moffatt to launch a VIP competition. The repair specialist and pre-loved handbag boutique, based on Newcastle’s Mosely Street, has teamed up with the personality and Capital for the initiative, with a Mulberry bag up for grabs. The competition has been launched on air and will close on May 8th. The winner will be announced during a VIP evening at AVIEKA, on Newcastle’s Quayside, on May 12th. Fifty finalists will be invited to the event, with a guest each, and the remaining two contestants will answer a ‘closest to’ question, with the winner taking home the prize. Handbag Clinic will be hosting a fashion show on the night, featuring a number of its designer bags, as well as setting up a pop-up shop. The company, in addition to stocking rare bags, specialises in cleaning and repairing designer and leather accessories, as well as restoring the red soles of Christian Louboutin shoes. Charlotte Staerck, Handbag Clinic Purchasing Manager, said: “We are delighted to be partnering with Scarlett and Capital for such an exciting and fun competition. It promises to be a fantastic evening of entertainment at one of the Quayside’s popular venues.